Tennessee’s defense has been dealt a big blow just days before they go on the road to take on No. 21 Auburn in a conference match-up. Head coach Jeremy Pruitt confirmed during his weekly Monday press conference that freshman safety Trevon Flowers broke his collarbone during practice last week and will be out this weekend when the Vols take on Auburn and is out for a few weeks. Pruitt stated that Flowers dove for a ball during practice and broke his collarbone in the process. He expects him to rejoin the Vols later this season. 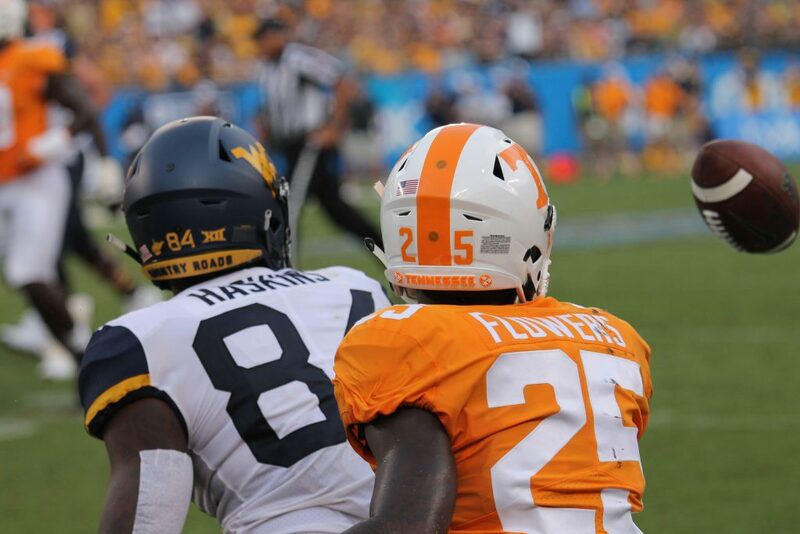 Flowers has been a key piece for Tennessee’s young secondary this season. He started in the Vols’ first game of the season against West Virginia, and he’s been a big contributor off the bench for the rest of the season. So far this year in five games, Flowers has nine tackles and a pass defended. He intercepted a deep pass against Georgia that got called back because the Vols’ defensive line was offsides before the play. The Vols are relatively deep at safety, but Flowers has flashed plenty of play-making potential in his first year with Tennessee. His injury comes in the middle of the Vols’ SEC gauntlet this season. Coming out of high school, Flowers was a relatively unheralded football prospect until late in his senior year. Flowers only had major offers from Kentucky and Appalachian State before the Vols showed interest in him and offered him. Clemson followed suit, and Tennessee held off the Tigers to secure Flowers’ signature. Flowers was rated as just the No. 932 overall player and No. 75 safety in the 2018 recruiting cycle according to the 247Sports Composite rankings. He went unnoticed by many football recruiters because he focused more on baseball in the summer rather than going to football camps. He’s expected to play for Tennessee’s baseball team as well this year.